Rampunctious is the game of terrible puns! 4+ player and whoever makes the best, most or worst puns wins. 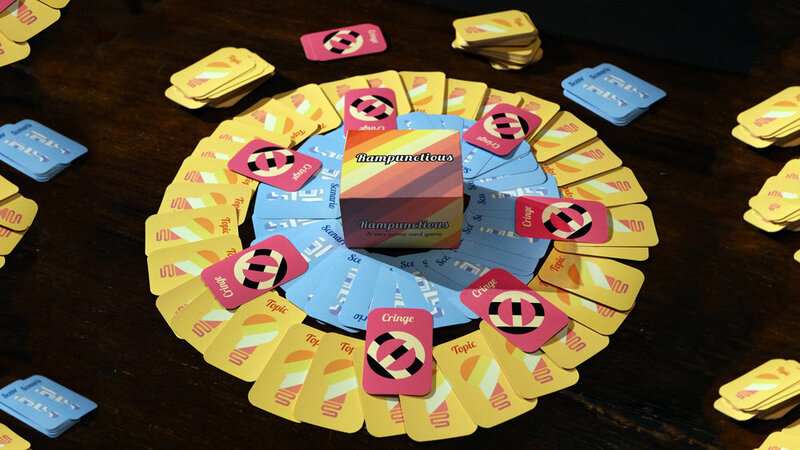 Rampunctious is a party game about making the worst possible pun. It's a party game for four or more players and the aim is to make the best - or worst - pun possible and make your friends cringe. Points are given by the Pundit, who acts as a judge, and can also be awarded by other players for truly spectacular jokes via a Cringe card. Rampunctious is the first tabletop game by Fickle Games. It's family friends and based in improv and wordplay. The game sets players up with a Scenario and punning topic then let's them show off their own pun skills and humor. Rampunctious was successfully Kickstarted (link to Kickstarter) in March of 2017 where it raised €13,500 from 379 backers. Rampunctious is due to officially launch in October. Jen Carey is a game designer, writer, lecturer and engineer based in Dublin. She graduated from IT Carlow in 2012 with a degree in Computer Game Development. Since then Jen has worked fora number of games and tech companies as a QA Engineer. 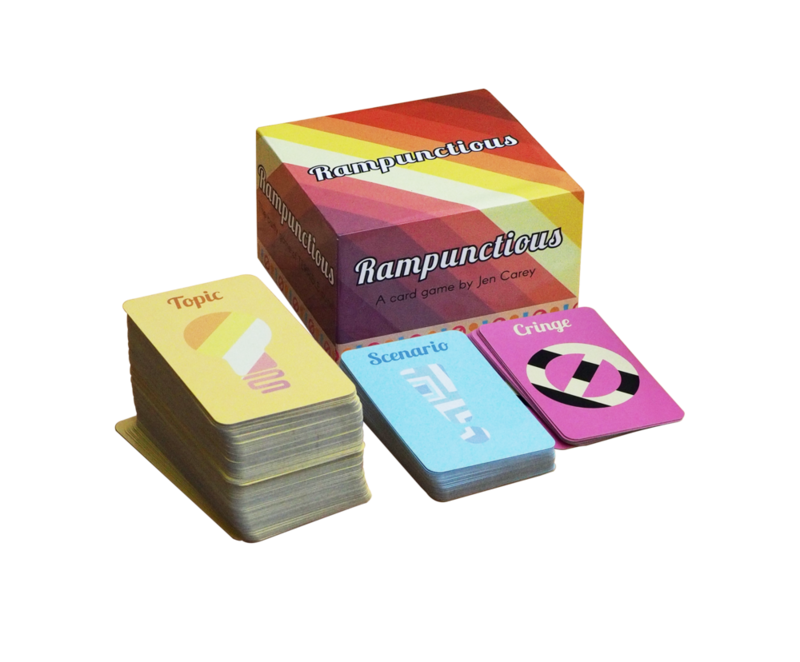 Jen is the founder of Fickle Games as well as the designer and producer of Rampunctious, their first tabletop game. She gives talks on a variety of topics from women in games/tech to design to funding. Interview with Sweet Lemon publishing for Nice Game Hub on Rampunctious.